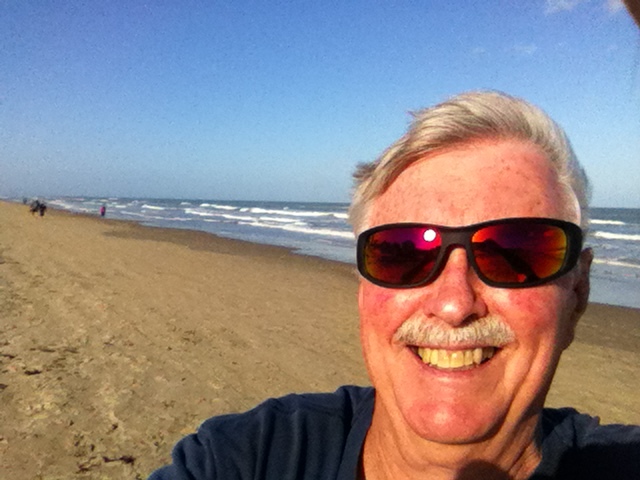 South-Texas 2015 is about my trip to South Padre Island from Canada. I have added pictures and descriptions of both my travel to and from the island as well as my stay there which lasted for 2 months. I'm going to leave New Year's Day and head down the coast to about Los Angeles and then turn left and go through Arizona and New Mexico and on into Texas. I don't know how long it will take and a lot will depend on the weather as I don't intend to try and turn my little car into a snowplow. So, for those of you interested in my progress and then my adventures on the island, I decided to build this page and then will continue to add the information to it over the next 2 to 3 months. I'm not sure that's what you're supposed to do with a web page, but I'm going to try it. I'll also post reports on Facebook because some people follow that. I think I'll leave Twitter alone! So, bookmark this page if you want to find out about my adventures in travel and then check it once in a while to see what has happened. I'll try not to bore you and just give you the facts if I can. You might like it? My gas gauge didn't work either until after I got through Seattle. It now seems to be fine. Another day, another state! I'm somewhere south of Modesto, California tonight. I quit around 6:00 pm. The heater didn't work again today but it kept warming up outside thanks to non-stop sunshine and once I got to the flat farmland south of the mountains, it was not necessary anymore. Tomorrow I'll be looking for Interstate 10 in the Los Angeles maze. If I can find it, it will take me right into San Antonio eventually. I don't think I'll be putting the top down tomorrow but I should end up in Arizona, so who knows? My rad overheated today just as I was trucking through LA! I stopped just outside of the city at a small auto repair shop and had the thermostat replaced which took about an hour and a half, so that's why I only got to Blythe. Interesting repair shop! When I first pulled in the owner offered me moonshine, Crown Royal whiskey or a beer, then we went out to take a look at the car! (I took the beer.) He knew more about engines than most mechanics I've seen lately, so I learned a lot today from him. Then, before I left, he gave me one of his "company" t-shirts! Too bad I don't live near here. I could actually get things repaired! I'll probably cross Arizona and head into New Mexico tomorrow. All right, another adventure today. About 20 miles west of Phoenix, my radiator decided to suddenly overheat again! Anyway, I managed to get close to a gas station and while I was waiting for it to cool down, a local came along who's retired and rebuilds cars for a hobby and he had all kinds of suggestions and ideas about what to do and the state of the engine. One suggestion was to get it to his place and he could haul the engine out and rebuild it if I would help him. I said I couldn't! The other was that he'd rent a trailer and he'd haul me and the car to South Padre Island if I'd pay his expenses. I said no. Anyway, it worked and I am now in Wilcox, Arizona (near the Texas state line) and I had no heating problems all day. It's down on power on hills however so I might have burned a valve? So, with any luck tomorrow, I should end up on the beach. I'll let you know tomorrow night. Another long day but after 4,795 kilometers I made it! I got to South Padre Island about 6:30 after an all-day drive that included 2 stops to let the radiator cool down and then refill it. The good news is I now have 2 months to get it repaired! The first time the rad overheated was just as I got through the highway maze in San Antonio. (That's where The Alamo is and I thought I might meet my own Alamo there! With highway construction in full swing there were many places where there were no shoulders to pull over if I had to! If my rad had erupted during one of those portions, I would have had to stop in a lane on a 60 mph freeway. Not a good thing if you have a will to live! It held together until I got to the outskirts of the city where I put some more "Stop Leak" and water in the rad and crossed my fingers. (Incidentally, a trucker at one of my gas stops had given me 2 empty plastic anti-freeze bottles after hearing my story and I filled them with water and put them in the trunk. It's a good thing I did because I stopped at 3 gas stations when the car started running hot and none of them had a hose for water! One guy offered me an ice cream bucket full of water.) How much are electric cars? The last time it went was just as I turned on the final 20 mile stretch of highway going from Brownsville to the island. Fortunately, it was just before dark and I was able to refill the rad and limp the rest of the way to the hotel. Another adventure in the books! There is only one garage on South Padre Island, so I took the car in there and they assured me they could repair it. It only took them 5 weeks and several thousand dollars to replace the cylinder head, water pump and sundry other problems, but at last I had my car back! It ran fine around the island and into Brownsville so I figured all was well. Hah! I left the island to return home on Thursday, March 5 (a couple of days earlier than I had originally planned) because it was going to be cloudy the next couple of days anyway and the road up the coast looked like it was going to sunny all the way home, so I blasted off about 9:00 a.m. It's mostly flatland all the way north to San Antonio (where I turn left and go to the west coast). The car ran great with it's new cylinder head except for 1 moment when I had trouble passing a semi up a slight grade. The car seemed to lack the power to pass it easily and the temperature rose slightly. I ignored it and carried on! West of San Antonio it becomes more hilly (and sparse). That's when I knew I had a problem. I was fine going downhill or on level parts but going uphill became more and more difficult as I went along. It got to the point where I had to put my 4-way flashers on going up hills so that I wouldn't get run over by a semi steaming along at 80 mph! The engine also got noisier so I decided to pull into a rare gas station in the middle of nowhere and throw some STP in the engine and try and nurse it to the next town. That turned out to be Sonora, Texas and I spent most of Friday morning trying to find a mechanic that might be able to find and solve my new problem. I found one (the only one), but he couldn't start work on it until the next week! It turns out that I spent 2 glorious weeks there because the new gasket on the new head had burned through and I had no compression on 2 of my 4 cylinders! So, my new mechanic (Victor) had to replace the new gasket (and regrind some valves, etc.). Don't get me wrong, but you don't want to spend your vacation in Sonora. The people at the motel and the garage are really nice, but unless you like looking for rattlesnakes in the desert, there's not much to do here! I'm hoping to be able to resume my trip home tomorrow and if I do I'll let you know how Day 17 on the road goes. If not, I think the rodeo is in town next month, so maybe I'll get a chance to try bull riding! Yee Haw. No heating problems. No lack of power. The car ran great, so I pushed it into California and headed north out of L.A. Anyway, it was Sunday and so I stopped in Lathrop, California before the rear end exploded and planned my next vacation stop. Not far from Lathrop, which is a small town, lies Sacramento which I thought would give me the best chance to find someone to deal with my latest problem. So, I went there in the morning and by afternoon had found a place that specializes in Jeep rear end and suspension work and they agreed to repair, what turned out to be the differential. After a week, they had replaced the bearings but couldn't find a few other parts they needed. They thought it might take another week for that! Meanwhile, I'm staying at a nearby Holiday Inn that's right on the edge of "The Hood" so my night life was somewhat limited. I didn't want to stay any longer, so I asked them, "If I take it as it is, will it make it to Vancouver?" They said, "Probably, but it will still be loud" and that was good enough for me. I left the next morning! I drove non-stop until I got home. (I think it was about 18 hours.) I had no other problems with the car (but it was noisy). The trip was over, but I still needed to get the differential repaired. A few weeks later, I was going to Toronto for 10 days for a high school reunion and family picnic, so I arranged for a mechanic who specializes in British Motor Cars to take it for a couple of weeks to fix the rear end (and sundry other things like missing gaskets, a broken motor mount, etc.). I picked it up when I got back, to drive it home, but never made it! The temperature gauge stopped working 10 miles into the trip, it overheated and then wouldn't start! Yesterday, I had it towed back to the garage. Does anybody want to buy a nice looking boat anchor? After a couple of weeks in the local MG shop, I finally got the car back. They had to redo the head gasket again! (That's the 3rd time in the last 5 months.) They also re-cored the rad for the second time in the last 6 months and they added another fan to the rad (so now I have 2)! A few other things were repaired as well and I drove it home without incident (about 20 miles). So, maybe it's all over now - at least for a while. Am I going to sell it now that it is running or do I keep it now that it's repaired? That's a good question. I keep thinking about a TR4 driver that I met on my travels who looked at my car and said, "That's a 20 foot car." And I said, "What's a 20 foot car?" And he replied, "It looks bloody great from 20 feet away!" I agree with him, so I still don't know what to do. Click above to return to the Fun Travel Page and some of my motorcycle and RV adventures.